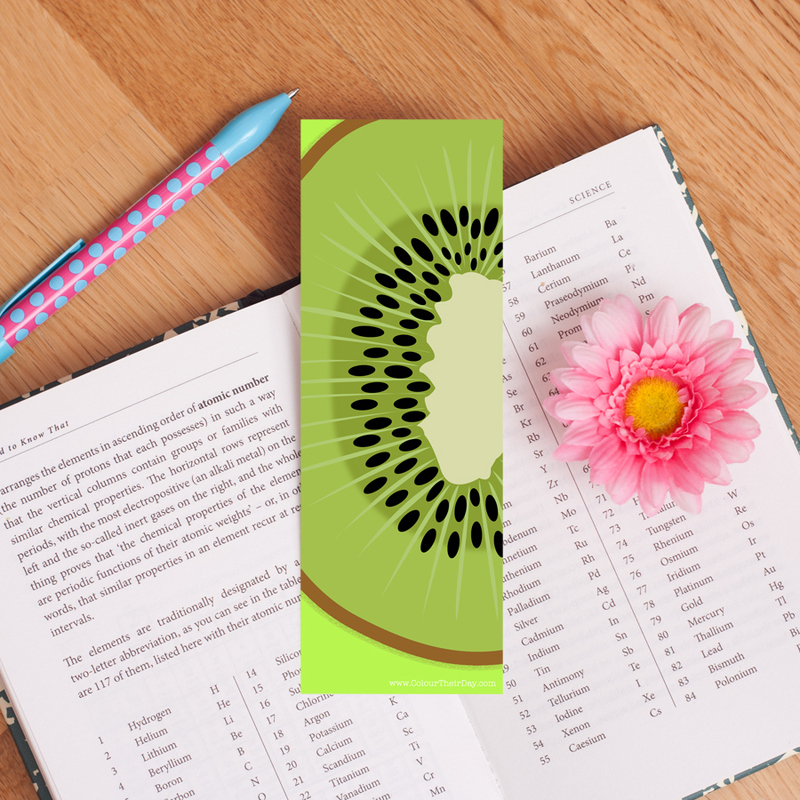 This summery and zingy bookmark will definitely bring some colour to your next book! It makes a wonderful little gift for yourself or for anyone of any age, who loves reading. The bookmark is double sided so is very thick and robust. On one side the design features a close up illustration of a kiwi half and on the other side there are three smaller kiwis, all in front of a zesty green background. 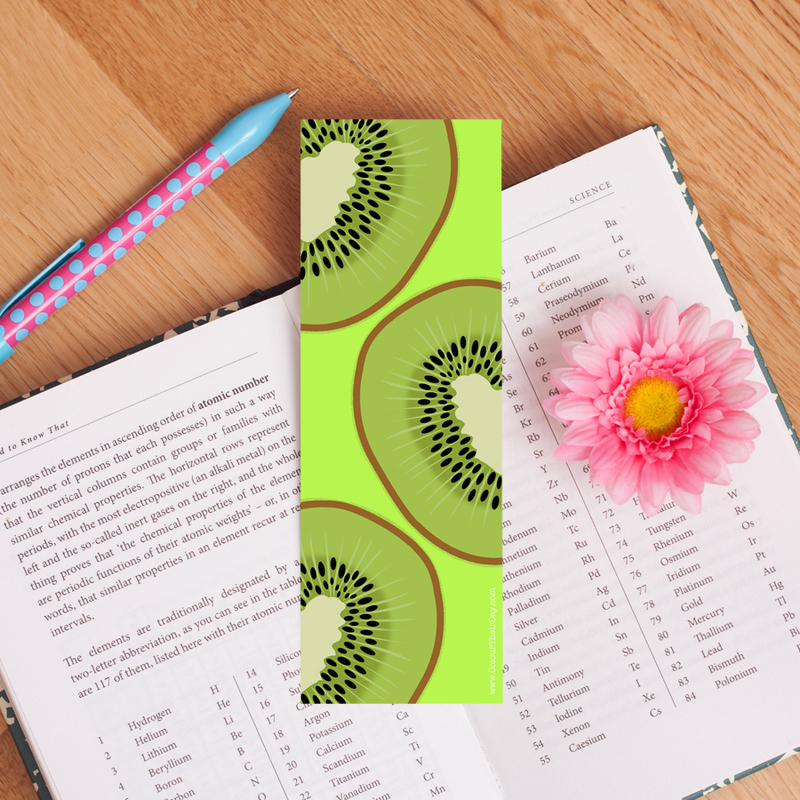 Be the first to review “Kiwi Fruit Double Sided Bookmark” Click here to cancel reply.